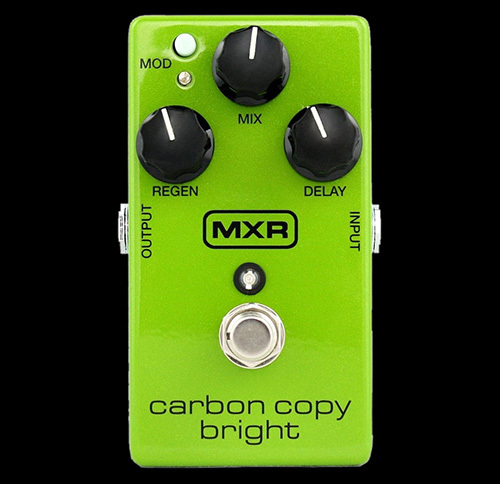 The Carbon Copy Bright Analog Delay has everything that the standard Carbon Copy Delay is revered for, but it’s been tuned for a brighter sound. Where the standard version repeats have a dark, mellow wash, the Bright’s repeats are more defined with a distinct vocal quality. The two sounds are great companions—we saw to it that they play nicely together. Engage the modulation section, and your repeats will sing with shimmery beauty as strummed chords ring out even longer than before.